You’ve built a business you’re proud of. You’re no stranger to powerful inner drive, hard-earned know-how, and trusting your instincts.  And usually, you navigate your way around business challenges, lickety-split. or perhaps you’ve noticed a little niggle within your own self (or your team), something feeling like it’s not quite right anymore. It has you thinking. It has you distracted. What’s worse, this pernicious “it” may even have you second-guessing yourself. You’re wise enough to know that when it comes to business, efficiency is worth its weight in gold. You’re not interested in wasting time. You don’t have the luxury of making mistakes. You want (and need) to solve this so you can get on with it. This is where I come in: clearing the path to where you want to go with Business Intuition. 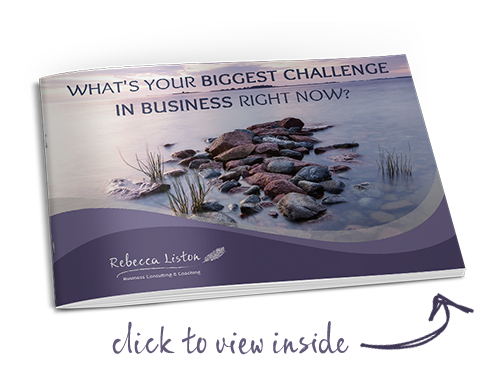 I’m Rebecca Liston and I work with business decision makers to quickly uncover the root of their biggest challenges and know what actions to take next, so they can get on with doing what they do best! Whether you run a one person shop with a virtual team, or lead a multinational corporation rolling out a new product in multiple markets, I can help you get to the meat-and-potatoes of what’s really going on… and know exactly what you need to do to address it, head-on, in a way that feels right for you, your team, and your customers. Because you don’t have time to mess around. And your business already has the answers you’ve been looking for — all you need to do is listen. What can you expect from working with Rebecca? I came to Rebecca with a question about the direction in my business. After 12 years, I was working with small businesses and solopreneurs, but I was ready for a shift. It was already on my mind, to work with larger companies. But that really started to come out in my sessions with Rebecca. It wasn’t so much insight as it was confirmation. You don’t take steps when things are not clear, because you don’t know what you are aiming for. Working with Rebecca, I got clarity about my direction, clarity about my ideal clients, and clarity about what my next steps were. I came to Rebecca at a time when I was feeling completely disconnected from my target market. I wasn’t making as much money as I felt I should be making. And I felt completely confused. I’d invested over $20,000 on hiring a coach, a message company, and copywriters. But in a single session with Rebecca, I was instantly reconnected with the people I wanted to serve. For the first time in a year. I finally saw how to speak to my people. After I got that information, I had the best quarter in my 4 years of running my business. I had more clients come to me in that quarter than ever before. And I could go back to the vendors I’d hired and tell them exactly what I wanted them to say, really fast. I came to Rebecca at a time when I was trying to put together my next program. I had questions about how long it should be, and how to structure it. In a single session with Rebecca, she talked about all the thoughts that were in my head. Except this time, I got clear. I was like ‘holy crap, that was valuable.’ Working with Rebecca takes out all the guesswork. Which has really helped me relax more into my business. I know not everyone finds this. Try this out – don’t wait. If you’ve got any questions about your business, work with Rebecca. You’ll get the answers. I have been teaching specialized intuition-based classes for over 20 years. Rebecca stands out as a stellar practitioner of business intuition. She brings her genuine mix of calm, lightness and laser sharp clarity to her tracking skills ~ sure to delight any business owner seeking to move forward exponentially. I highly recommend you use her services to gain precise and valuable insight into your business today. Will you Partner with me in the No? Think this is cool, and want to stay connected? Get articles, updates and more.